You know arugula. It's available at almost all local grocery stores, it adds a bit of a kick to every meal, and it's delicious! But there's a lot more to arugula than just that peppery flavor. Eruca sativa, better known as arugula or rocket (in the United Kingdom), is a plant that belongs in the Brassicaceae family, meaning it's related to cabbage kale, and cauliflower. Arugula is native to Morocco, Portugal, Syria, Lebanon, and Turkey, but is now widely used all across the world, and most often in salads. The leaves are generally what's eaten, but did you know that its flowers, young seed pods, as well as the mature seeds, are all edible? Arugula has been around since the Roman times. Some authors during that era believed that the green had aphrodisiac properties. It's possible that because of this belief, arugula was forbidden at monasteries in the Middle Ages. While you can find arugula almost everywhere, it used to be grown at home or in the wild. In terms of usage, it is eaten raw and cooked in such dishes as cavatiéddi, a pasta dish; Littoral, a Slovenian dish; straccietti, an Italian dish from Rome that featurs thin slices of beef with raw arugula and Parmesan cheese; and a wide variety of salads. On the island of Ischia in the Gulf of Naples, arugula is made into a digestive alcohol called rucolino. In West Asia and Northern India, seeds are pressed to make taramira oil that's used for pickling. A number of studies have suggested that arugula can decrease the risk of obesity, heart disease, diabetes, increase energy, and more. Because it's a cruciferous vegetable, arugula has been associated with a lower risk of cancer, too. Arugula is high in fiber, vitamins A, C, and K, folate, calcium, iron, magnesium, phosphorus, potassium, and manganese. It also contains high levels of protein, riboflavin, thiamin, zinc, vitamin B6, B5, copper, and pantothenic acid. Needless to say, it's an excellent food to incorporate into your diet! Ready to try arugula in some new recipes? Check out some great ones below! 1. Peel and chop the eggs and avocado into a small dice. Cut the radish into a fine dice. Place all in a bowl. 2. Combine the dressing ingredients and stir to mix. Add to the egg mixture. Refrigerate until ready to use. 3. Toast the sliced bread and spread with a bit of butter. Top with the egg salad, bacon crumbles, and microgreens. 1. Make Dijonnaise: Stir together mayonnaise and both Dijon mustards. 2. Dollop Dijonnaise onto slices of bread and spread to the edges. Top with about 1/4 ounce roast beef. Press down lightly to help it adhere. 3. Add dollop of Dijonnaise on top. 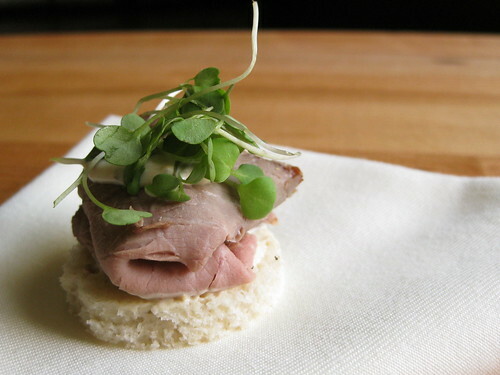 Top with a few sprigs of micro arugula. 4. Finish with a small amount of freshly ground black pepper (optional) and serve. Arugula is one of the many microgreens you can grow in an Urban Cultivator, and it only takes about two weeks before you can harvest them in their microgreen version. If you let it grow a little longer, it will grow into its mature version. Want to grow your own? Grab arugula seeds from the Urban Cultivator store here. 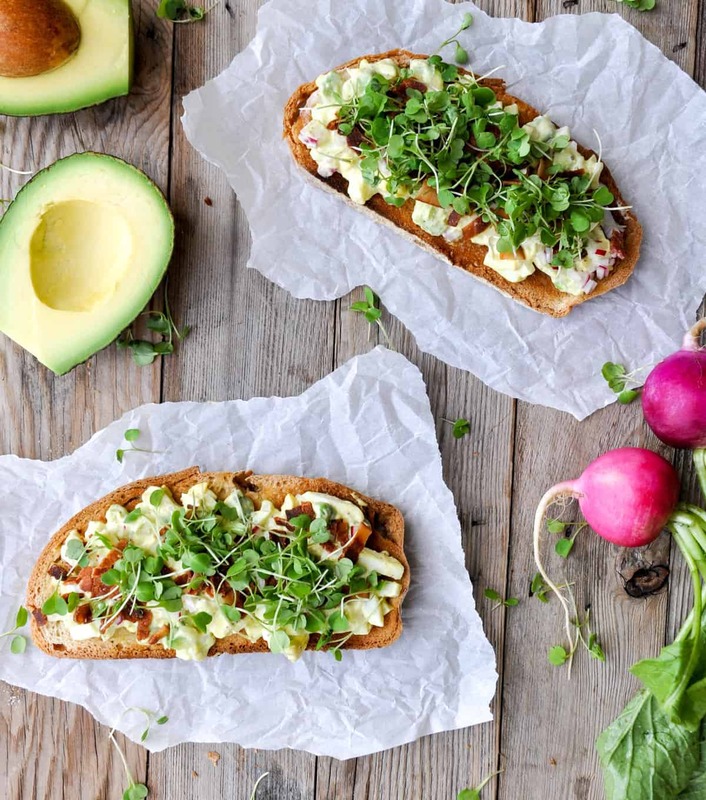 What's your favorite way to use arugula? Have you used them before? Let us know in the comments section!